BLOOMINGTON, Ill. – The Central Illinois Flying Aces fell, 3 to 0, to the Cedar Rapids RoughRiders in the final game of the season. Cedar Rapids scored first late in the first period. The RoughRiders broke out on a three-on-two play and Ethan Wolthers finished off the passing play with a quick goal on the backdoor. The RoughRiders scored their second goal of the game in the later minutes of the second period. Liam Walsh got the puck in front of the crease and put it past the goaltender on his backhand. The Flying Aces kept up sustained pressure in the second period, outshooting Cedar Rapids sixteen to eight in the second, but they were unable to crack the Cedar Rapids netminder. Walsh scored his second of the night shorthanded on a breakaway where his momentum carried him and the puck over the goal line to take a three-goal lead early in the third. Central Illinois continued to push in the third including a chance that rang off the post, but they were unable to find the back of the net. 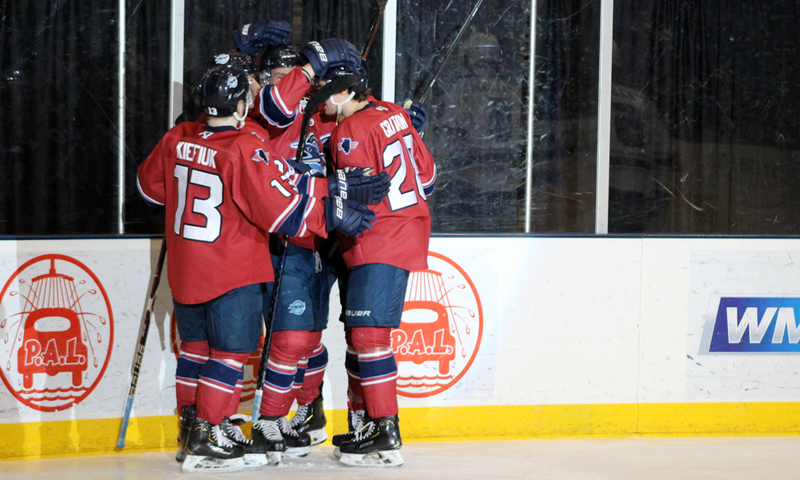 The Central Illinois Flying Aces finished the season with a record of 24-33-3-2 (W-L-OTL-SOL).